Also known as “solar lentignes,” age spots are very common in adults over 50 . But can also occur to those much younger. Despite their name (age spots) they are in fact due to accumulated sun exposure. They are well -defined, uniformly colored, brown or gray, and appear on the sun exposed skin areas like the face, neck, shoulders, decolletage and hands. Conditions like pregnancy, vitamin deficiencies , weak liver functioning may also lead to this problem. Dark circles are dark blemishes around the eyes, also known as “periorbital dark circles”. 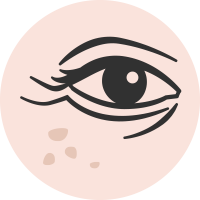 Puffy or swollen eyes are due to an accumulation of fluids (edema) in the surounding skin tissue. This can be caused by sleep deprivation, oversleep, dehydration, alchohol, caffeine, and a salt heavy diet. 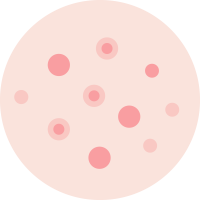 Are harmless flat tiny circular yellow, light brown, tan or brown spots. The development of freckles are thought to be combination of inheritance and sun light. Freckles are a skin cell that contain pigment (melanin). They are more common in people with fair skin. They often become darker and therefore more apparent after sun exposure and lighten in the winter months. 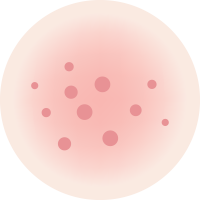 Is the most common skin condition caused by sun damage, also know as “actinic keratosis.” Unprotected sun exposure over the years can result in this condition. The most afected areas are neck, ears, and face. They vary in color from light, pink, red or dark, may exhibit a slightly raised surface from the skin, and tend to be dry and scaly. Hypopigmentation is the loss of skin colour (melanin). Blisters, burns, infections, and pimples can manifest in a loss of skin pigment. Hyperpigmentation is due to the overproduction of melanin and results in dark patches. They are known as age spots, melasm, and post inflamatory hyperpigmentation. A skin condition that consists of areas of hyperpigmentation, hypopigmentation, atrophy and telangiectasias. It’s mostly seen on the chest or the neck area, and commonly associated with sun damage. Chloasma, also known as “pregnancy mask,” appears as dark, discolored, symetrical patches. Usually appearing on the forehead, cheeks, upper lip, bridge of the nose and chin. It is much more common in women than men and can be triggered by pregnancy, birth control pill, hormone therapy, and stress.